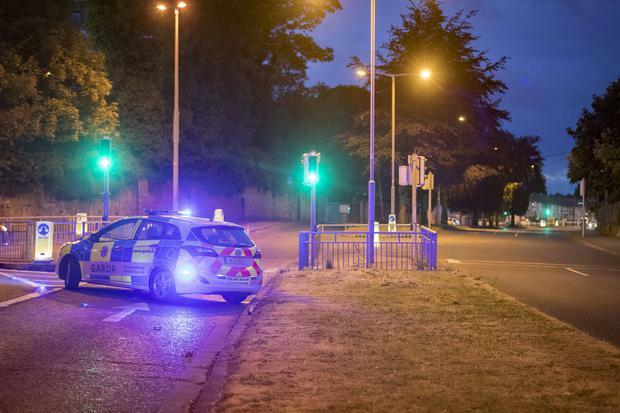 A female pedestrian was seriously injured in a 'hit-and-run' incident in Ballyfermot last night. The incident occurred at the intersection of Sarsfield Road and Landon Road in Ballyfermot just before 9pm. A car struck a woman in her early 40s before leaving the scene. The driver, a man in his 40s, was arrested a short time later. He is currently being detained in Kilmainham Garda Station. The area was sealed off last night while gardai conducted a forensic examination of the accident scene. Two units of Dublin Fire Brigade, along with an advanced paramedic team, also attended the scene.